Latest Updates - Visit Birks in their stunning new flagship store at the corner of Bay Street and Bloor Street! Latest Updates - Parkers Cleaners has temporarily relocated to the Concourse Level (Holt Renfrew Centre tunnel). Latest Updates - Retailers opening soon: Over the Rainbow, Shoppers Drug Mart and Pilot Coffee Roasters. Latest Updates - North escalators will close in April for renovations; please follow onsite signage. Latest Updates - Bonny and De Catarina Leather will re-open on the Concourse Level in the coming months. Latest Updates - We encourage you to use our complimentary valet parking services. With redevelopment comes change. Stay current with the latest news. Follow us on Instagram and Twitter for real-time news and updates. Keep on the lookout over the next few months for the grand openings of Over the Rainbow, Shoppers Drug Mart, Bonny and De Catarina, and Pilot Coffee Roasters. A reminder that complimentary valet parking services are available to all tenants; use is encouraged whenever possible. During construction, some of your usual pathways and entrances to the building may also be rerouted. We will make it a priority to communicate with all our tenants, patrons and customers during construction to minimize disruption. We hope that you are as excited as we are about the changes taking place at Manulife Centre. 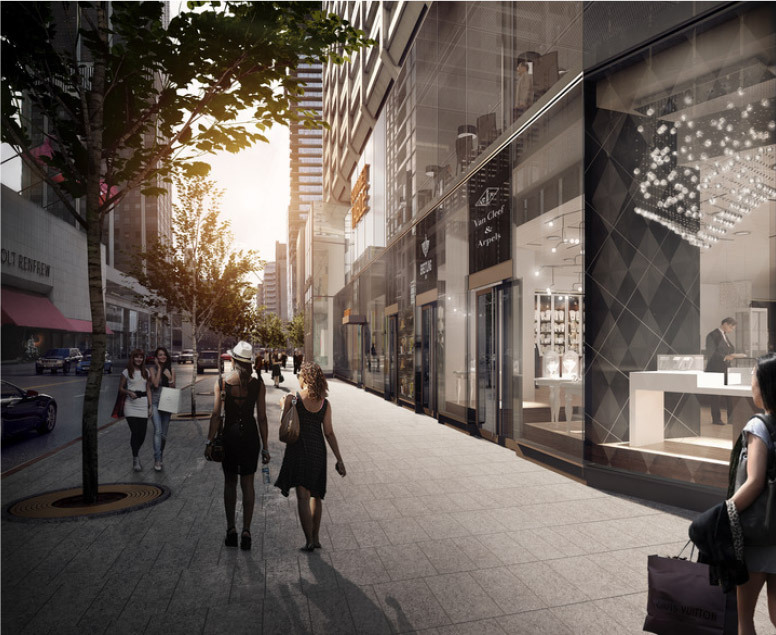 The $100 million redevelopment at Manulife Centre will add 35,000 square feet of new retail space. The redevelopment will include a complete overhaul of the exterior of the Centre, as well as a reconfiguration of the interior space. 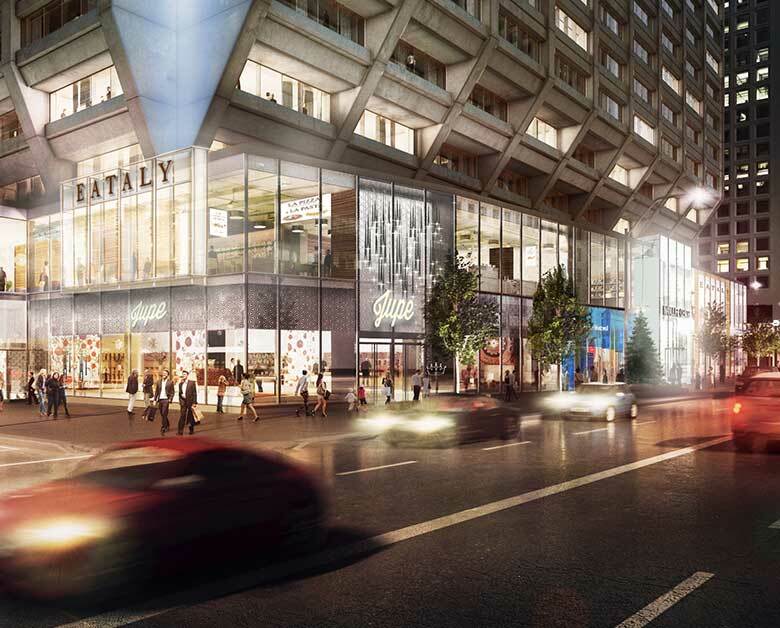 We are also pleased to welcome Eataly to Manulife Centre – their first location in Canada. Redefining Bloor & Better as your urban hotspot for shopping, dining and entertainment. 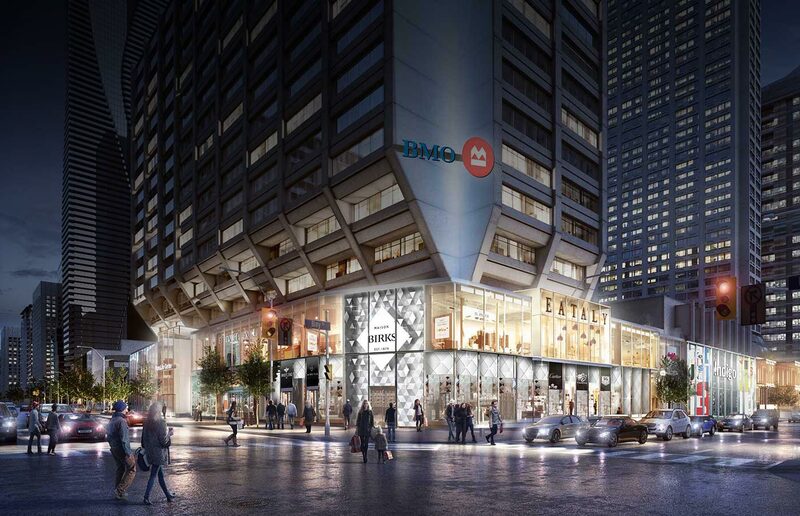 A $100 million redevelopment of Manulife Centre will add 35,000 square feet of new retail space and will include a complete overhaul of the exterior of the Centre adding a glass façade and welcoming new retailers. Inside, there will be some reconfiguration of the Centre as well as the renovation of several of our key tenant spaces. In celebration of our redevelopment, we invite you to visit Ampersand City, an artistic expression of the Toronto urban experience using the Manulife Centre ampersand as canvas. We’re proud to welcome Eataly to Manulife Centre. Eataly is the largest Italian marketplace in the world, with locations in Italy, New York, Chicago, Japan, Dubai, Istanbul and Sao Paulo. 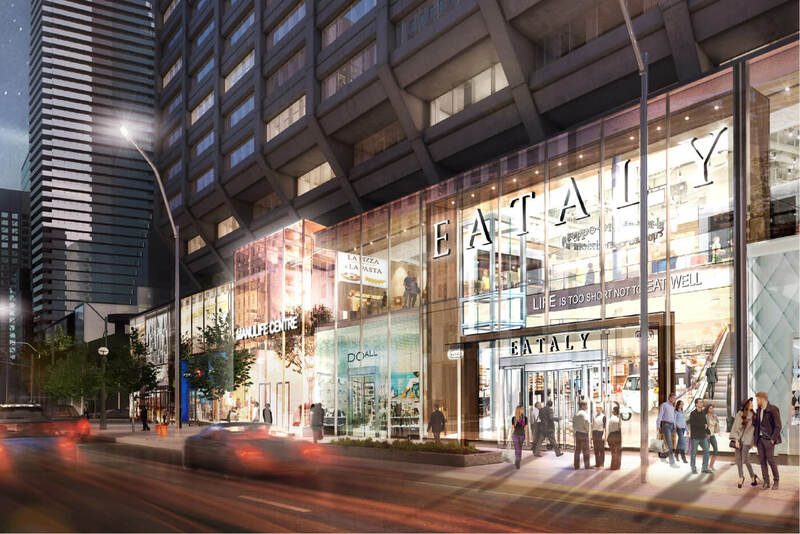 Ours will be the first-ever Eataly in Canada. It’ll be like food shopping in Italy, but with Canadian dollars.